It’s Always Sunny in Philadelphia is coming back soon, but who will be missing? Variety reports Glenn Howerton will have a reduced role in the FXX TV show’s upcoming 13th season. Howerton plays Dennis Reynolds on the long-running comedy, which also stars Charlie Day, Kaitlin Olson, Rob McElhenney, Danny DeVito, Mary Elizabeth Ellis, Lynne Marie Stewart, and David Hornsby. Because Howerton’s NBC sitcom AP Bio was renewed for second season, the It’s Always Sunny in Philadelphia star will not appear in most of season 13. 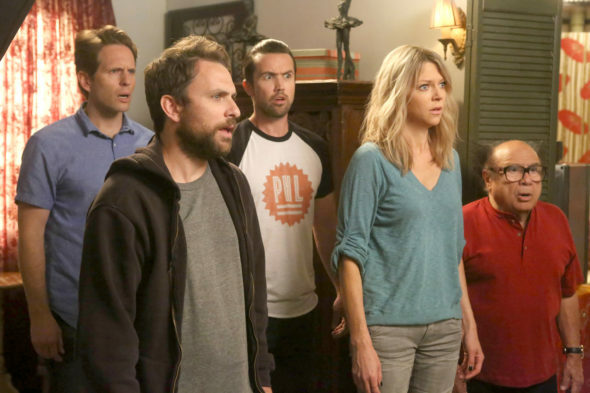 Meanwhile, series regulars Charlie Day, Kaitlin Olson, Rob McElhenney, and Danny DeVito are all returning for FXX TV show’s new season, which premieres on September 5th at 10 p.m. ET/PT. What do you think? Are you a fan of It’s Always Sunny in Philadelphia? Are you sad Dennis won’t be around for season 13? More about: FXX TV shows: canceled or renewed?, It's Always Sunny in Philadelphia, It's Always Sunny in Philadelphia: canceled or renewed? I love this show, but I will miss Dennis.